Shenton Bushland Activities: Rainbows everywhere! 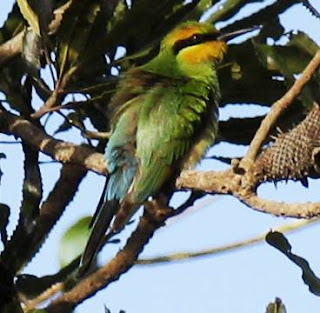 The bushland was alive with the distinctive sound of Rainbow Bee Eaters - a throaty excited chatter as they whizzed through the air chasing various flying insects. They were everywhere! 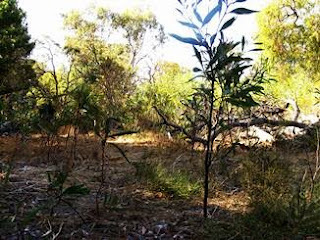 Whilst weeding veldgrass in the bushland I visited an area we planted out in 2006. It was nice to see so much surviving despite the fact that we never water our plantings - about 10% survive long-term, but they are the best ones that do survive - which is what we need for this bushland to be resilient to climate change.